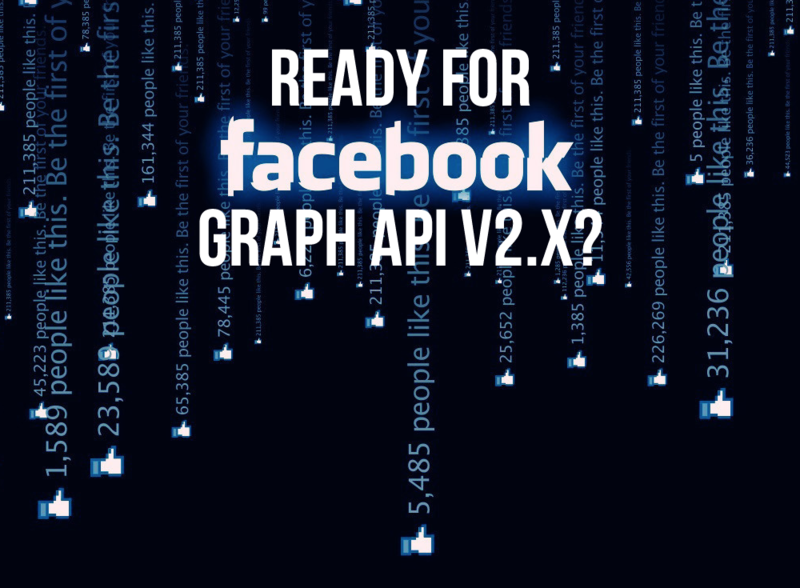 Facebook’s deadline for updating applications to use the new Graph API v2.x is fast approaching. All application need to be updated to use at least version v2.0 of the Graph API before April 20th 2015 or you risk your application breaking. On April 20th 2015, Graph API v1.0 will be deprecated and all API calls will default to using v2.0 instead. This means that access to friend information will be removed, permissions not approved by Facebook will top working and new users will be given “app-scoped IDs”. If you haven’t updated your application(s) yet, read Facebook’s Upgrade Guide. To see which applications may be affected, take a look at the Application Upgrade Dashboard. You have only two weeks to get your applications updated. You can also take this opportunity to update your applications to use the newer Facebook PHP SDK. 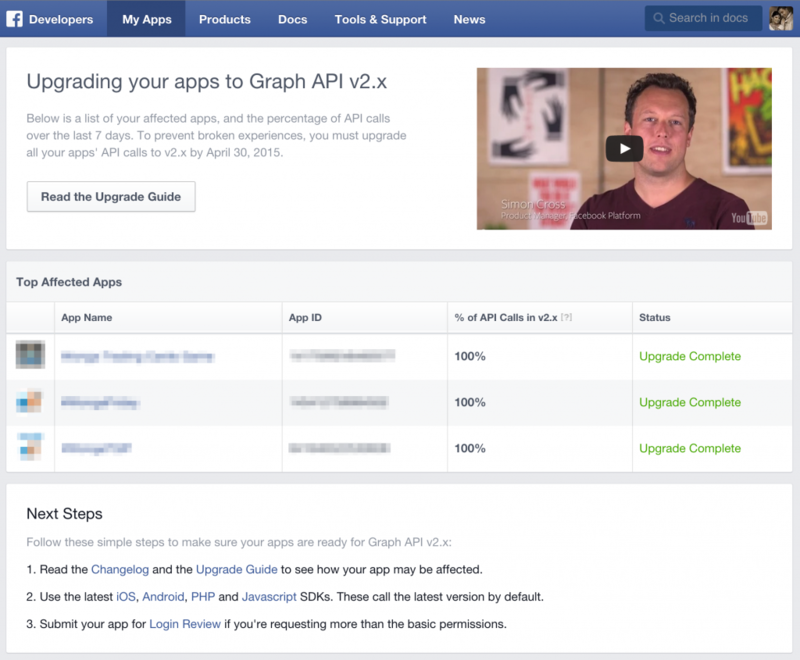 We have a guide to help you upgrade to upcoming Facebook PHP SDK v4.1. Need help? We can provide help and advise, or do the upgrade for you from £40 / hour + VAT.